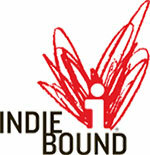 Indie Bound is the web site of independent bookstores. It has all sorts of bookie news and links to the latest Indie Next reading lists. Long Lake Theater is our local community theater. It’s in Hubbard, just 8 miles from Park Rapids. The Park Rapids Lakes Area Chamber of Commerce welcomes you and your family to their scenic Northwoods Home, Gateway to Itasca State Park and home of the historically famous Heartland Trail. Park Rapids Downtown will keep you up-to-date on what’s happening in town. Here’s a bird’s eye view of downtown! Hannah Jennings Design is the firm which designed and maintains our web site. We highly recommend them!